It has become clear that animal agriculture is a large contributor to climate change, animal suffering, the obesity epidemic, antibiotic overuse, deforestation, species extinction, ocean acidification, and inefficiencies in the food system contributing to world hunger. Reducing animal product consumption is a great way to reduce your negative impact in these areas by encouraging the industry to move towards plant-based products. Learning about the destruction caused by the animal agriculture has influenced my purchasing decisions significantly over the last few years. I would like to give others the same information to see if they would like to take similar steps. What I really want to find is a book that I can recommend to people which gives a summary of the main problems, including ethical, environmental, health, and economic inefficiency, caused by animal product consumption. One candidate is Peter Singer's Animal Liberation. This is the book that changed my world-view more than just about any other. It made me realise that speciesism - the commonly held belief that different animals, including humans, deserve different moral value purely based on species - is not only wrong, but is one of the motives behind the huge amount of suffering humans inflict on non-human animals. The first chapter of Animal Liberation is one I would recommend to anyone. It lays out the philosophical underpinnings of the anti-speciesism movement. However, published in 1975, the rest of the book shows its age. It's descriptions of industrial practices from the mid-1900s are outdated and, by mainly focussing on US agriculture, it can be too easily dismissed as "yeah, but this doesn't happen to the animals I eat/wear/fund the experimentation of" by non-Americans resistant to questioning the status quo. Peter Singer also restricts his focus to just one aspect of the animal story - animal suffering - and neglects discussion of other destructive aspects. Finally, it takes an abolitionist approach to the problem of animal liberation. Whilst I agree that abolition of animal exploitation for culinary and non-culinary entertainment is the appropriate end goal, I am swayed by the evidence that taking a more pragmatic approach is more effective. 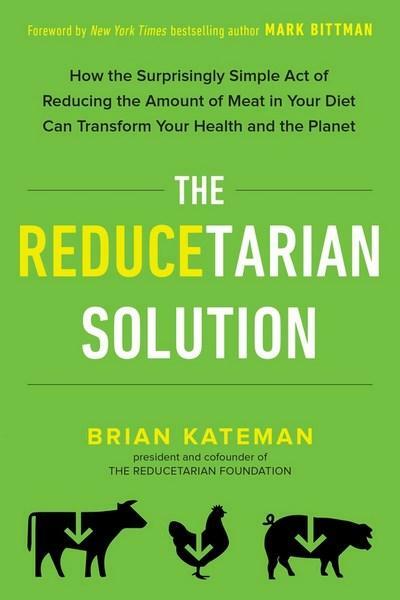 That's why my interest was piqued towards a book, published last year called The Reducetarian Solution - a collection of short essays about reducing consumption of animal products, compiled by Brian Kateman. The Reducetarian Solution is unapologetically trying to motivate you to reduce your meat, dairy, and egg consumption. The 70+ authors of the bite-sized and independent chapters call on the ethical and philosophical, the environmental and existential, the physiological and psychological, and the religious and fictional, to get this point across. In this respect, in this book I found what I was looking for: a multi-dimensional description of the redundancy and repugnancy of animal farming. However, I found many of the mini-chapters too short to go into sufficient detail. While I applaud the general attempt to advocate a reductionist approach rather than an abolitionist approach, I found it bitty and boring at best, and contradictory and hyperbolic at worst. Chpt 68: Making the invisible visible: exploitation of livestock workers supports the meat industry / Molly Anderson. I don't think many people will enjoy every single essay in this book - I certainly didn't. Different essays motivate reducetarianism using different and mutually inconsistent philosophical frameworks. While the bad bits are a struggle to get through, the good bits make it worth it. And you don't have to read the bad bits at all - just enjoy the recommended chapters above!